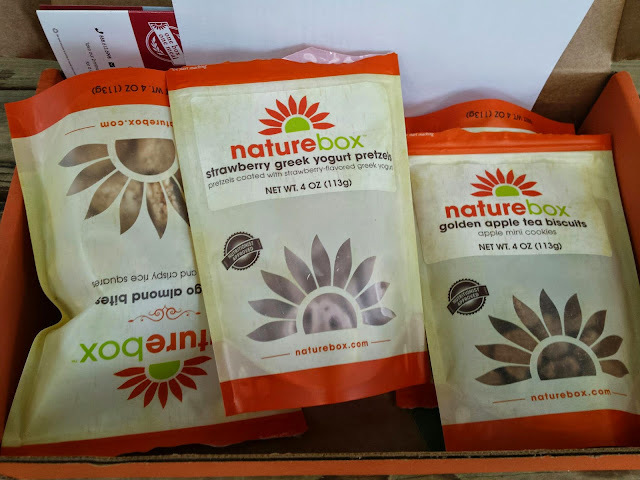 Another month flying by means another Nature Box review to come! This month I wanted to try to stay away from the fruit snack type items and venture a little outside of my box. 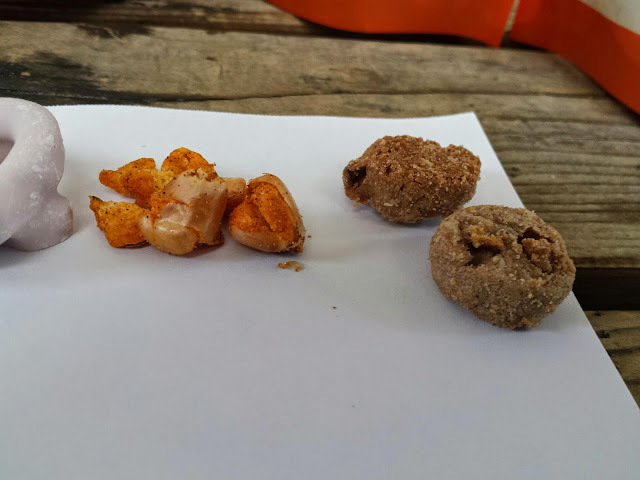 Mango Almond Bites - I was really disappointed in these snacks. 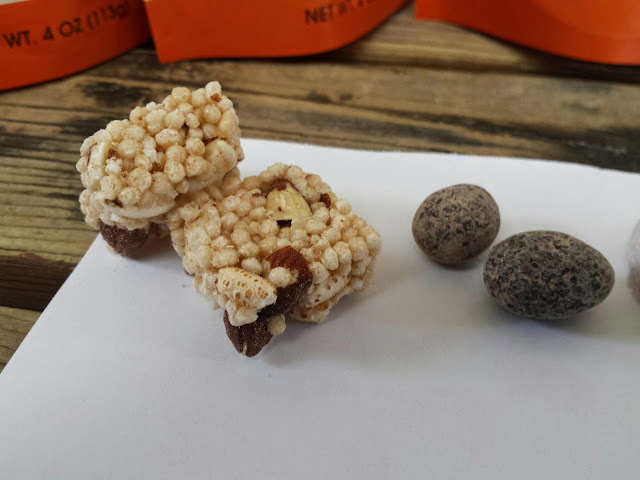 I imagined to be more like a rice cake but the puffed rice in these reminded me of a Korean puffed rice snack. I could barely taste the mango in them and they just weren't my cup of tea. 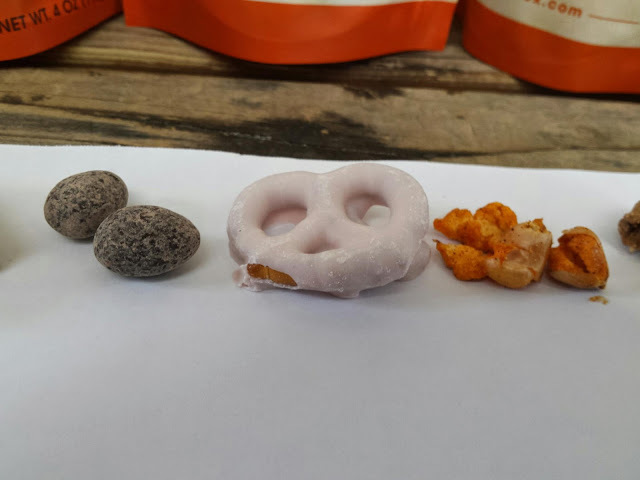 I can definitely see some people liking this snack, but for me, I just didn't really care for it. Dark Cocoa Almonds - You can't go wrong with chocolate covered almonds. The weird white powdery coating on the outside had me a bit concerned, but I looked past it. These tasted good and the dark chocolate wasn't overly sweet. The only negative I have to say about this is just about how small these were! I've tried a lot of chocolate covered almonds in the past but these by far had the smallest almonds coated and I was hoping they would be a bit larger in size. Strawberry Greek Yogurt Pretzels - I tried this snack because of @Hollyannaeree. I couldn't remember her exact details on them but I knew she said it was her favorite. These weren't bad but they aren't the best things I've ever had. The strawberry flavor is barely there so it is more just like a yogurt pretzel that reminds of the Harry & David ones. I probably wouldn't try these again and maybe try another yogurt flavor out. I do like that they weren't overly sweet like some other yogurt covered snacks out there. Sriracha Pop Pops - I absolutely loved these! I loved the whole half popped pop corn kernels and the sriracha flavor in these were just right to my liking. They weren't overly spicy, had the right amount of salt and vinegar mix and just made a nice combo. I would definitely try these ones out again and suggest it for anyone who is into savory snacks with a little spice. Golden Apple Tea Biscuits - Here's another item Nature Box sent me to replace something they had out of stock. I still wish there was a way Nature Box could inform customers of this happening so they can choose something they actually want. Last month they sent me lemon tea biscuits and they chose to send me biscuits again. Luckily for them, I ended up liking these a lot more than I thought I would and I really enjoyed the dry chewy apple bits actually inside the biscuit. I had them with a nice hot cup of tea and it paired nicely. 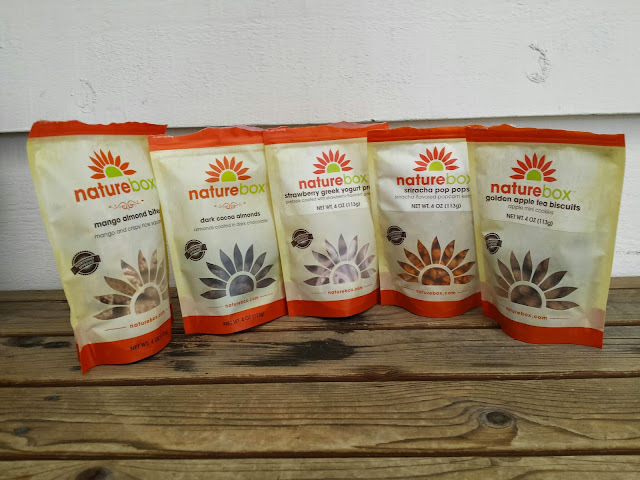 Readers, have you tried NatureBox yet? 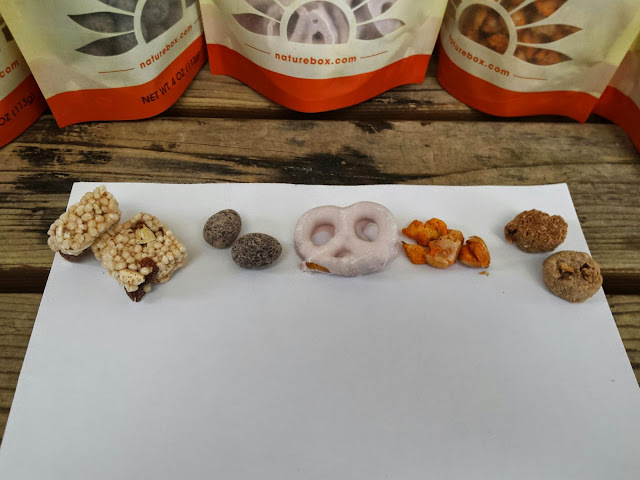 Do you like sweet or savory snacks? Let me know! I so love Nature Box. Thanks for sharing.